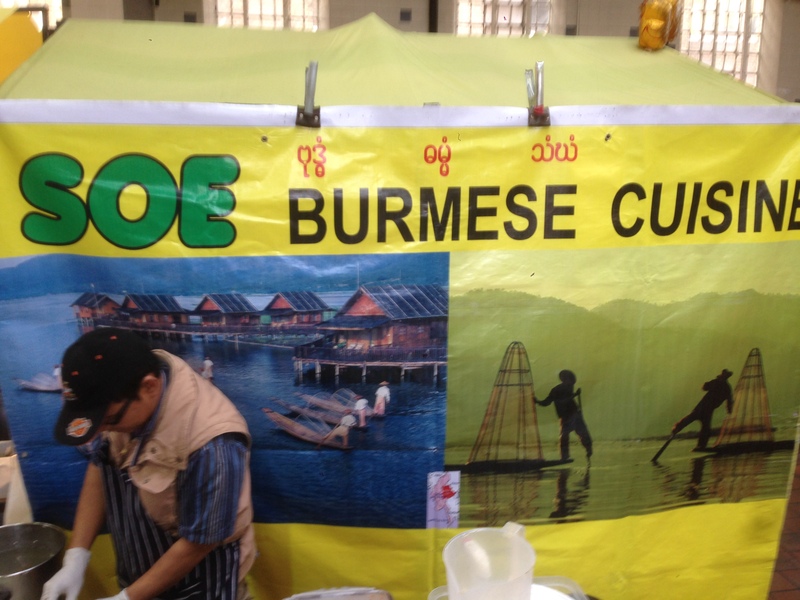 Soe Burmese Cuisine | Restaurants of the World Unite! 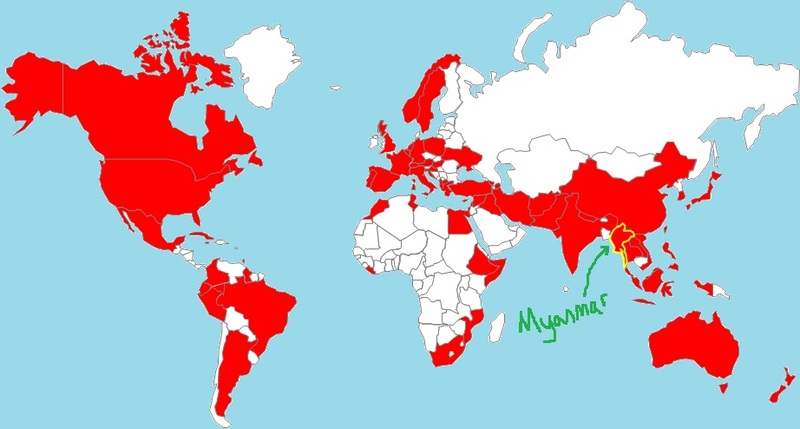 I’ve plundered all the local restaurants representing far-flung countries so more and more I’m having to venture out and about to the other horrid parts of London (North, East and South. And Central. Yuckers!) But that’s where the weird countries are. 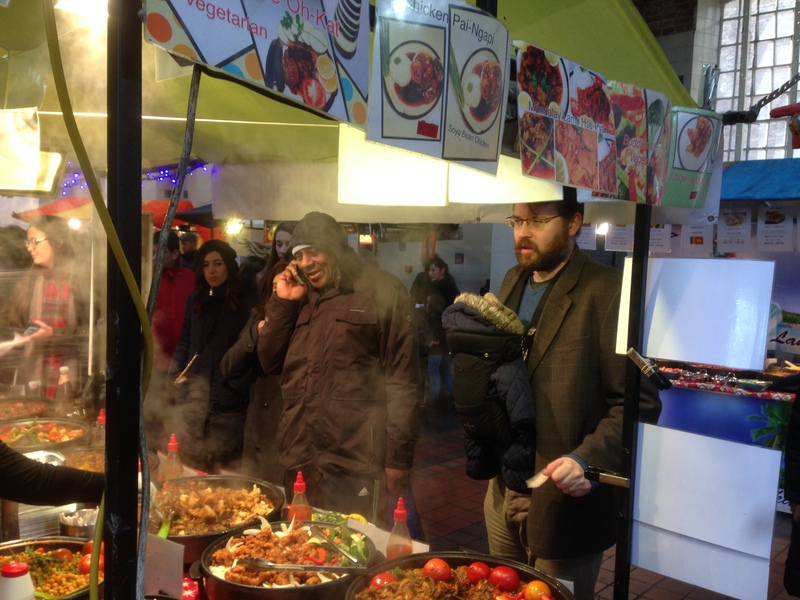 And as much as I hate to admit it, Brick Lane is crawling with them on Sundays. During the last trip I saw pop-ups for the Ivory Coast, Venezuela and Lithuania, among other countries I’ve yet to hit on the blog. But therein lies a problem. A certain mancake gets a bit snotty about pop-ups counting for the quest. And he kind of has a point as they’re mobile and could be anywhere, not just London; but my point is that they don’t generally appear outside London. You only tend to get these pop-ups in London. We reach an impasse and because he’s my sister’s boyfriend I don’t karate chop his face to win the argument with force. Checkmate. Advantage Charlie. Anyway, in this instance, I’m happy doing a pop-up as I know there is a Burmese restaurant in London called Mandalay Burmese Restaurant (http://www.mandalayway.com/). So 2-nil Charlie. 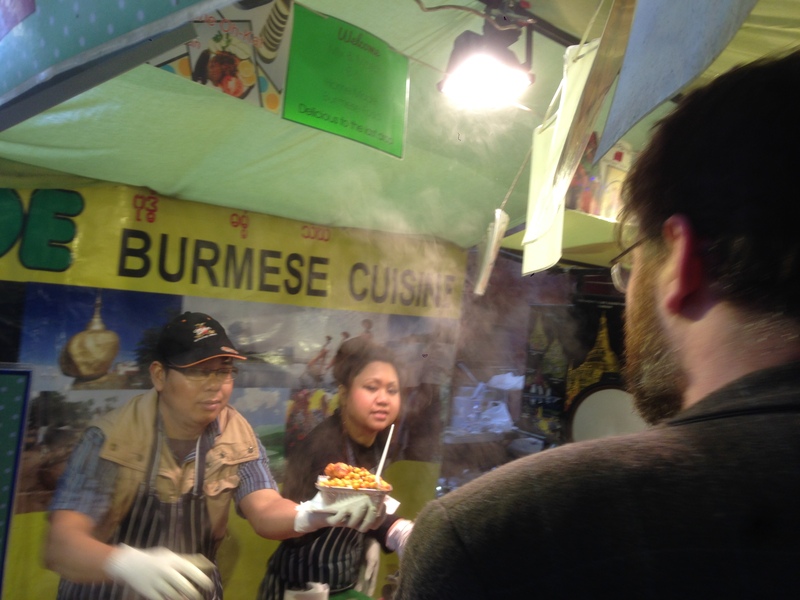 Soe Burmese Cuisine (https://www.facebook.com/pages/Soe-Burmese-cuisine/411737718919495) is a pop-up in a warehouse next to 93 Feet East off Brick Lane. It’s not the most obvious choice as it’s surrounded by Japanese, Chinese, Mexican etc. But service was cheerful and in seconds I had Mandalay Lamb with rice thrust at me. Just ‘cos you stick a foreign sounding word in front of the dish doesn’t make it authentic. A supermarket baguette is about as authentic as applause for a Martin Lawrence film. My suspicions were unfounded. The mandalay lamb was like an unplaceable curry, utterly sumptuous and rounded, making me resent the end of each mouthful. 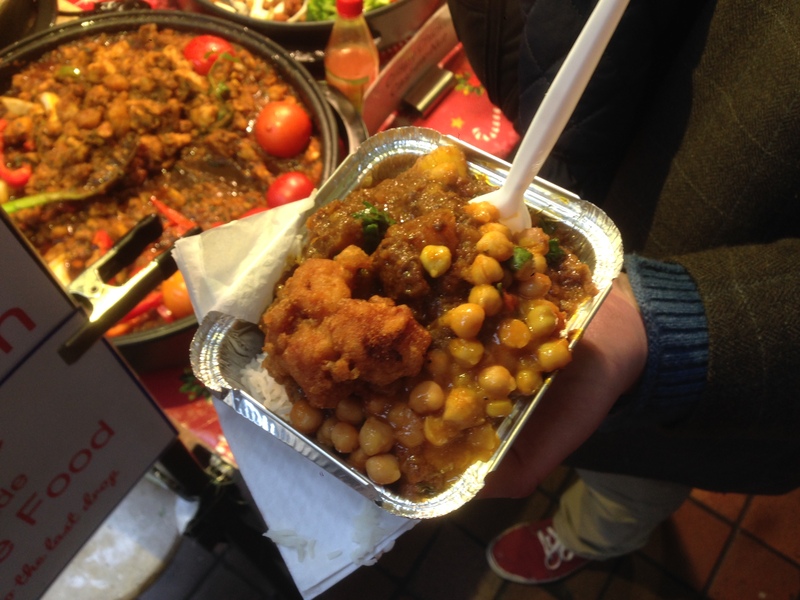 There was some chickpea thing served with it and some fried chicken, nice enough, but totally extraneous to requirements. I have no idea how authentic it was, but I know for sure that it was amazing. I spoke briefly to the head honcho who said that he didn’t want to open a restaurant as he preferred to prepare everything at home. He said it was all home-made, in which case he must have some jolly big pans and a monster hob. £5 ish … I can’t remember. I’ll definitely be going back. I know what you’re thinking, but no it’s me, Charlie, not Rick Deckard at the beginning of Bladerunner being handsome and pan-generationally cool. The difference? I have a baby hanging off my front. You watch all of the film, you’ll notice that not once is there a baby hanging off the front of Rick Deckard. That’s Total Recall. Under the chickpeas and the fried chicken is a taste sensation. No, not my shoes, though they’re rather special, I agree. It was the lamb all along! The picture depicts virtually nothing. Just the nice man who talked to us about his food. But mostly other pictures.